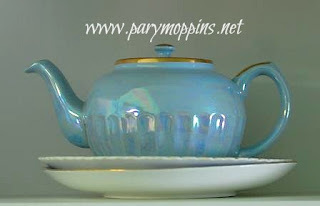 Pary Moppins: Perfectly Practical #172 - Coffee or Tea Pot? 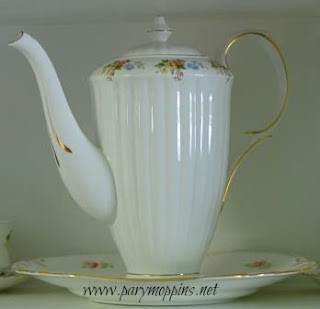 Perfectly Practical #172 - Coffee or Tea Pot? Y'all know I love estate sales but it never ceases to amaze me how the vendors sell all sets that have cups and a carafe of some sort as a "tea set." Not all sets are created equal. There are teapots and there are coffeepots. When serving coffee or tea the proper shape is important. 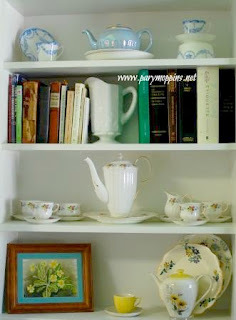 Now you know which sugar to use and which milk to use, how to take your guests' orders and from which pot to serve, I think it's time for a tea party don't you? Wow, what a lesson! I'll never look at my tea pots or coffee pots the same again. Let me go figure out who is who!